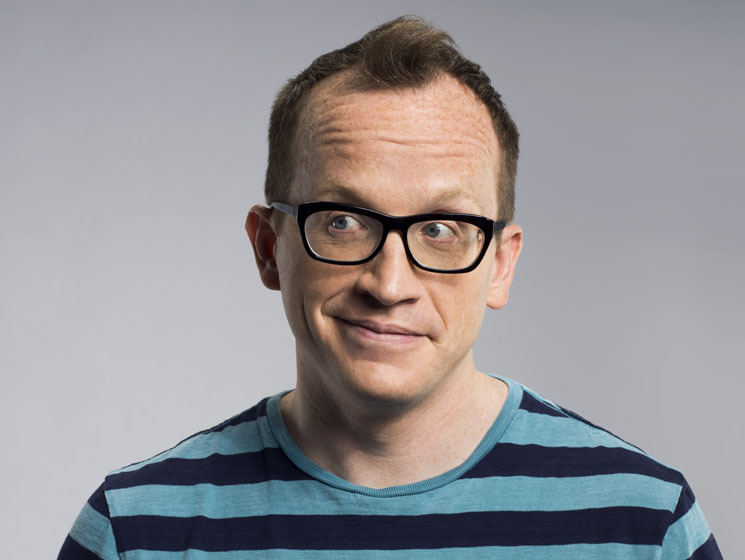 Performing for an enthusiastic crowd at the Winter Garden Theatre, Chris Gethard sought to issue a reminder that perfection is an unattainable ideal. To the extent that he'd worked out how to integrate this message into his latest hour of standup, however, he conveyed this sentiment primarily through explicit repetition. Granted, the heavy-handed nature of our current era justifies the deprioritization of subtlety to some extent, but it was nonetheless a bit jarring to hear Gethard continuously recapitulate this point rather than attempt to couch it in metaphors or imply it through narrative arcs. To his credit, Gethard set the tone for these earnest declarations early, drilling down on the constant undercurrent of terror that necessitates this sincerity with a thoughtful bit about how shockingly common it is for people to have fully fleshed-out apocalypse plans. From this point onwards, the show evolved into a series of loosely related anecdotes that succeeded to varying extents to reinforce the theme that Gethard had established. Among the more successful of these anecdotes was an artfully written bit about Gethard's high school bully. Misdirecting the audience by detailing a series of events where it unambiguously appeared like the good guy was going to prevail, Gethard pulled the rug out from under our feet at the last second, revealing that "life's not a fairytale" and that "bullies win all the time!" Similarly, the routines that Gethard wisely centered around himself — like his decision to buy food from a negligent food truck — served the dual purpose of keeping the show from feeling didactic, while also supporting it's overarching theme. Somewhat less successful along this spectrum was an extended routine about an attraction Gethard visited in Orlando called "Gatorland." Although an admittedly great story that produced some of the night's biggest laughs, this anecdote felt a bit out of place in the context of the show's larger thesis, illuminating nothing particularly profound about society's misguided pursuit of perfection. Putting aside the show's lofty ambitions, however, it'd be disingenuous not to note that the performance worked remarkably well as an hour of entertaining standup. Few others in comedy possess Gethard's talents for oration — a skill he used throughout the night to create the appropriate stakes for each anecdote — and his effortless humility on stage made the performance feel intimate, despite the show's theatre setting. Overall, while it appeared he was still ironing out a few kinks in the show's worldview, the performance elicited more than enough laughter throughout its runtime to more than compensate for its minor lack of subtlety.